Ensembl 67 has been released! 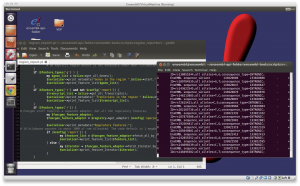 10th May 2012 by Thomas Maurel (Production)·Comments Off on Ensembl 67 has been released! The latest Ensembl update (e!67) has just gone live! 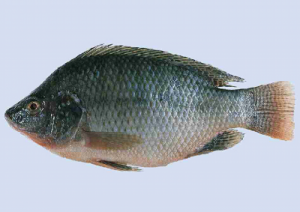 This release includes one new species; Nile tilapia (Oreochromis niloticus) as well as the patches for the human assembly (GRCh37.p7) and an assembly update for two species, Pig (Sscrofa10.2) and Squirrel (SpeTri2.0). Human structural variants from COSMIC (release 58) have been imported in Ensembl; view them in our new somatic structural variation track. We now provide 1000 genomes phase 1 genotype data. For other species, sequence variation for Pig, Zebrafish, Rat, Chimpanzee and Orangutan have been updated to dbSNP 136. Variation and structural variation data are now available for Macaque (Macaca mullatta). Compare patches a nd haplotypes along the reference sequence for human in our newly renamed, “Region Comparison” view (previously “Multi-species view”) on the browser. Jump there from a patch or haplotype region on Region in Detail, as in the image. The Nile tilapia (Orenil1.0) assembly was provided by the Broad Institute. Illumina technology was used to produced this high quality draft. A mixed approach was used for the genebuild using the RNA-Seq pipeline and the Ensembl pipeline. In other exciting news, Ensembl now has a virtual machine with all the Ensembl APIs and the VEP (Variant Effect Predictor) pre-installed and ready to use. 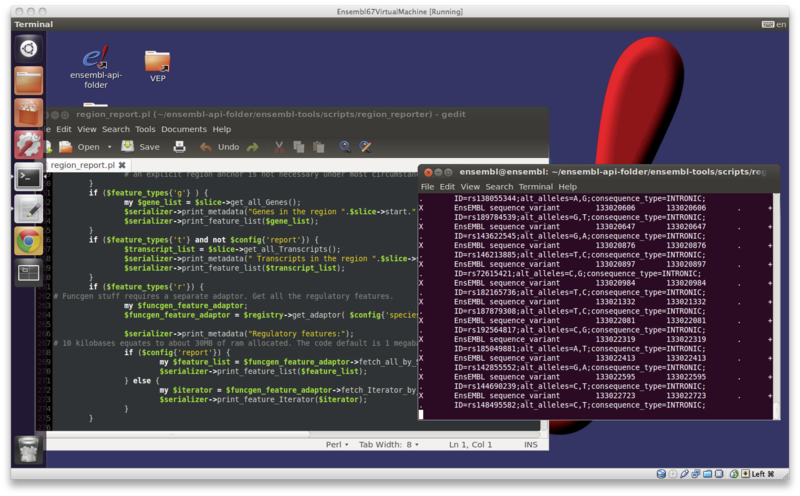 Just make sure you have virtualization software on your machine, download the Ensembl pre-configured file and install it. 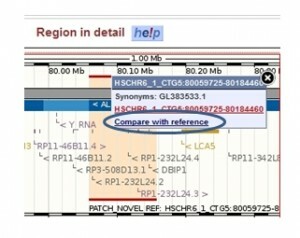 Detailed information can be found in the Ensembl Tools section. More news is available on the Ensembl website.